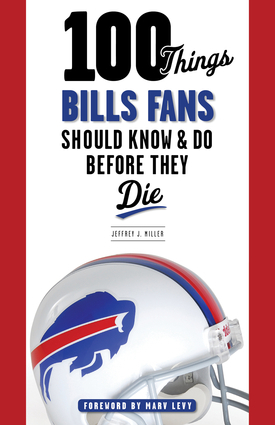 Jeff Miller is the author of Buffalo’s Forgotten Champions: The Story of Buffalo's First Professional Football Team and the Lost 1921 Title, Game Changers: The Greatest Plays in Buffalo Bills Football History, and Rockin’ the Rockpile: The Buffalo Bills of the American Football League. He is a member of the Professional Football Researchers Association and the 2004 winner of the Ralph E. Hay Award. He lives in Springville, New York. Marv Levy led the Buffalo Bills to four consecutive Super Bowl appearances and six AFC East titles in 12 seasons as head coach in the 1980s and 1990s. The Bills were the winningest AFC team in the 1990s, and Levy remains ranked as the 18th all-time winningest coach in NFL history with 143 career victories. He lives in Chicago.